In this work, we explored the effect of antidots in phosphorene nanoribbons (PNRs) on nanoscale devices. Similar to graphene, the performance of PNRs transistor can be improved with antidots. In present work, we extensively studied the electronic and transport properties of Zigzag-PNRs antidot lattice. Transport simulation results show that the Negative Differential Resistance (NDR) region appearing for antidot device with higher current than that of ZPNRs devices without antidot. 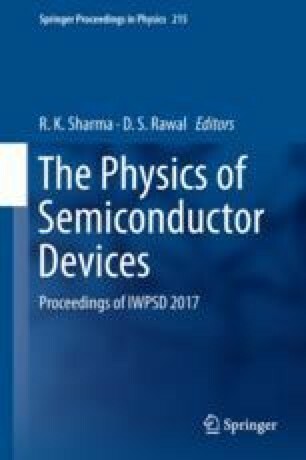 This makes the possibility to design device with enhanced transport properties to yield higher on current.